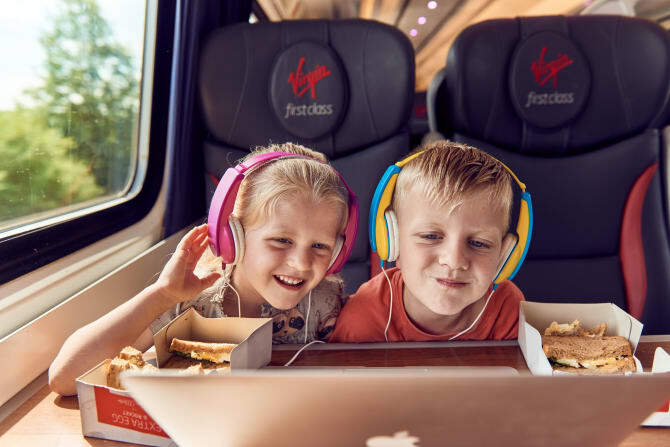 LONDON, 2017-Aug-07 — /Travel PR News/ — Virgin Trains is launching a summer family promotion* on its East Coast route, offering 50% off family travel on selected routes between August 7 and September 10, for journeys booked between July 31 and September 2. Whether it’s a kids’ day out or a summer family staycation that takes your fancy, there’s never been a better time to enjoy a trip to Britain’s beautiful east coast. From stunning architecture in York, shopping in Leeds, to the rich tapestry of history in Durham, you can get to these and many more destinations along the route in style and comfort for less. With most schools having broken up for the summer, thousands of families hitting the road, and 37 million leisure trips predicted during the first two weeks of the school holidays**, getting to your destination is better by train. 50% discount applies to lowest Virgin Trains East Coast Standard Advance and First Advance tickets only, booked between 31 July and 2 September 2017 inclusive, for travel between 7 August and 10 September 2017 inclusive (excluding 25 to 28 August inclusive), on selected Virgin Trains East Coast services. At least one child (age 5-15) must be travelling with the group. 50% discount can only be used when booked through the promotional link www.virgintrainseastcoast.com/family-promo and entering the offer code FM50. The code is valid for one transaction for up to eight Passengers with a combination of adults and children. At least one child (age 5-15) must be travelling with the group (each way) to qualify for the discount. 50% discount code can only be used once. Tickets must be booked by 23.59 on 2 Sep 2017 and are valid on booked date and train only. This discount is not valid for Virgin Trains services on the west coast route. Discount is not valid in conjunction with any other offers, discounts or Railcards and eVouchers. Tickets are subject to availability and there is very limited availability at peak times. ** RAC predict a total of 37 million leisure trips will be made over the first two weeks of the school holidays. Saturday is predicted as the busiest day of the weekend for UK getaway traffic with 3.4 million journeys being made. This entry was posted in Business, Trains, Transportation, Travel, Travel Deals, Travel Management, Travel Services, Travelers, Trips and tagged 50% off family travel, Becky Freeman, East Coast route, Suzanne Donnelly, Virgin Trains. Bookmark the permalink.